The Michigan Industrial Hemp Education and Marketing Project (MIHEMP), announced today that they will start a fund raising campaign in order to raise money to apply for a permit from the Drug Enforcement Agency (DEA) to grow industrial hemp. Hemp is unique when compared to other crops, in that every part of the plant has potential market value. Hemp’s oilseed makes high-grade food and beauty products. The stalks produce fiber and cellulose for everything from automotive parts and fine clothing to building products and a perpetual fuel supply that is affordable and environmentally safe. Industrial hemp provides the raw materials for over 25,000 known products. “Michigan is ripe for a growing and profitable industry, and industrial hemp could generate an abundance of jobs, green jobs,” Swift says with enthusiasm. It’s estimated that in 2010 the United States imported over 420 million dollars worth of hemp and hemp products. Every other industrialized nation in the world permits the farming of industrial hemp for fiber and seed, and industrial hemp is recognized in International law. Currently, the United States is the only industrialized Country in the world not growing industrial hemp. Over thirty other nations grow industrial hemp today, and the U.S. represents the largest consumer and industrial market for hemp raw materials and products. Michigan is poised to take advantage of an unprecedented opportunity and Americans are becoming aware of the significant benefits that hemp offers. Although industrial hemp comes from a variety of the Cannabis Sativa L plant, it contains virtually no delta-9 tetrahydrocannabinol (THC), the psychoactive element, which is within the trichomes of cannabis. Hemp is genetically different and is distinguished by its use and chemical makeup. The DEA has refused to reschedule this plant and remove it from the Controlled Substances Act even though they are aware of the differences in these plants. “Hemp is not a drug,” Swift states clearly. According to DEA rules, in order to apply for the permit to grow industrial hemp, a person must show they are in compliance with local and state law. for the permit, has a letter from a township in the county of Montmorency, which passed an Industrial Hemp Resolution, claiming they will allow the agriculture crop to be grown if a permit is granted. Michigan has no law that prohibits a person from applying for the permit. Mr. Swift believes there is no reasonable explanation for the DEA to deny the permit but said in a blog “since when has the DEA ever been reasonable about this crop”. The group hopes that the publicity from this campaign will bring more awareness to the hemp industry and will also assist in educating the public and their state representatives on the benefits of this sustainable, renewable resource. If you would like to make a difference and help to create jobs in Michigan with MIHEMP, please contact MI-HEMP, 17535 Co Rd 45, Hillman, MI 49746. Donations for the Farmer’s Fund are currently being accepted and can be mailed to the same address. Write Farmer’s Fund in the memo field of your check. You can also go to www.mi-hemp.org. 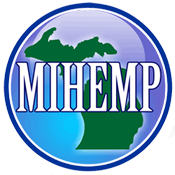 The Michigan Industrial Hemp Education and Marketing project, also known as MIHEMP is a Michigan nonprofit corporation working to expand Industrial Hemp as a natural resource for industrial and private enterprise in the State of Michigan. ← Oscoda County Passes Industrial Hemp Resolution!